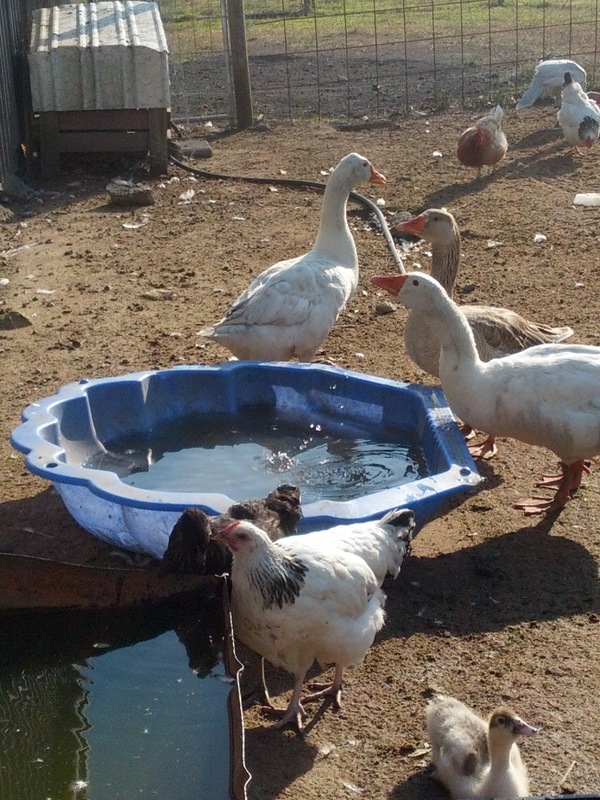 The geese have settled in well. 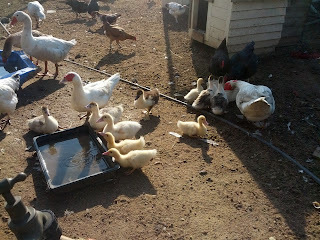 And the ducklings are growing in both size and bravado! They still manage to squeeze through the fencing, so they wander freely around the front garden and hel themselves to the Indian game’s food supply. As for the chickens we will be collecting eggs this week for our ‘meat bird’ program; as we swapped our roosters around a few weeks back now. And they should have settled into their new homes and be ‘working’ sufficiently. As I have explained in the past, most commercial ‘meat birds’ are bred from, or variations of the Ross cob. This cross was bred for its mass, weight gain and appetite. However I struggle to rear these birds due to their rapid growth and appetite, limits their natural behaviours and their quality of life is affected. Struggling to stand or walk, sitting in their own mess, eating! We even had to remove their food at night to stop them eating constantly... and ended up rehousing them in a shelter with bedding on the floor, as they could not manage ramps or steps; but then this increased their risk to predators. So we made the decision to breed and rear our own table birds, that will hopefully be capable of laying eggs. Similar to that of http://castlefarmeggs.co.uk/?page_id=787 . In the hope that they would be able to free range better and have a longer, better quality of life. The idea being we cross a good dual purpose/ or larger breed layer, such as the Sussex or Australorp x’s we already had with a game bird. We have had an Old English Game rooster cross with our layers, and the roosters from that combination carried a fair amount of quality meat for their size. However they also carried the athletic and aggressive traits of the rooster; the same reason we no longer have him. However these are also supposed to be a good free ranging layer. So I still have hopes for the few pullets we have raised. But in our quest for a table bird we decided to try them with our resident Indian Games, or Dark Cornish. This breed is heavier, carrying a lot of breast meat and although still flighty, they are far less aggressive... though the females can be pretty feisty when protecting their nests. Matt says they look like a roast chook with their feathers on. And I must admit they do have that neat shape, so hopefully a cross between these birds and the layer may work. We are unsure which will work better; the Sussex rooster over the game or the Indian game over the layers? I have read a few things that suggest Sussex over Indian game produces a better table bird, though the productivity is likely to be less as Indian game hens produce fewer eggs per annum. Though the layers produce more regularly, there may be issues in regard to whether the Indian Game rooster is capable of servicing the females sufficiently for a good fertility rate due to his stature. 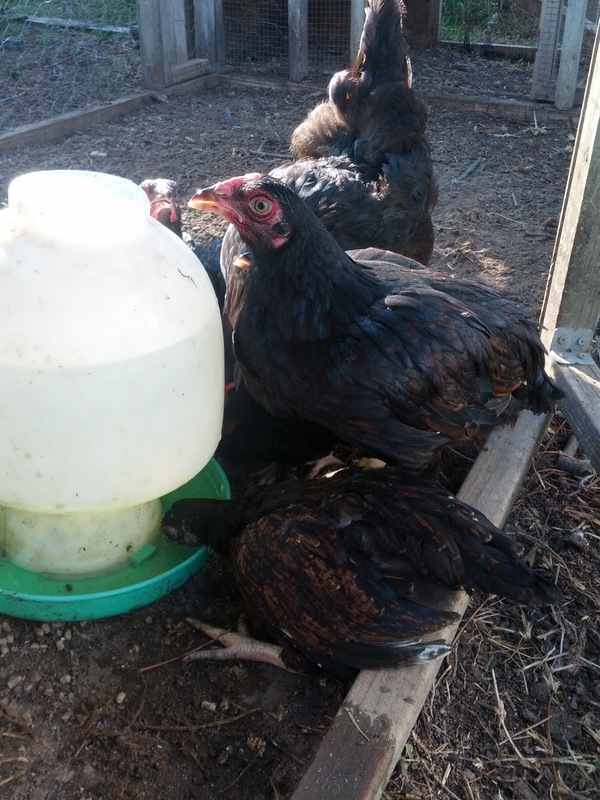 We know both roosters ‘work’ as we have had a few batches of layers from Rocky and we currently have 9 young Indian Game pullets and roosters from Ronnie. These birds have gorgeous patterns and colours through thier feathers- something I hope will pass to thier young, even when crossed. We are hoping that these birds will still produce relatively productive layers. As when it comes to maintaining our laying flock, we obviously generate a supply of roosters. Therefore the most efficient format would be to have a single strain of birds that we could raise the females as layers and the males for meat. So this week will begin collecting for incubation. I will be marking the eggs as to their source (which rooster over which females). So we can assess the virility of the roosters and the success of the resulting offspring as either layers of table birds. So expect a regular egg collection report, this probably wouldn’t hurt so we know when the Old English Game cross pullets and Sussex and Sussex-Australorp cross pullets begin to lay.